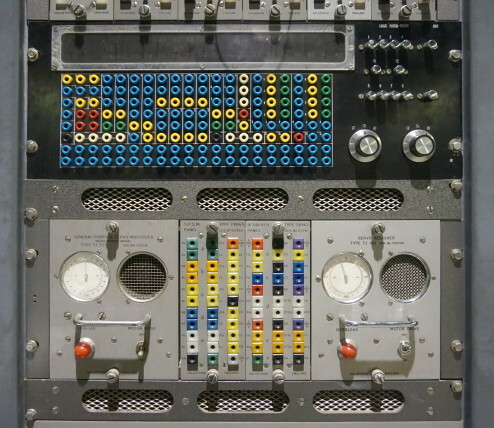 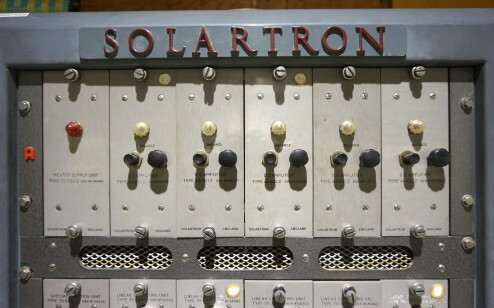 Pictures of the Solartron analog computer on display in the Museum for the History of Science in Gent, Belgium. 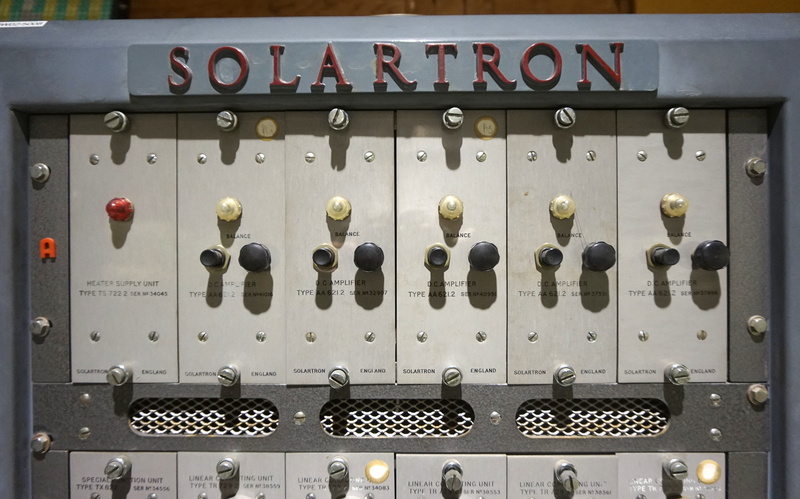 I have very little information about this machine, except that it was made by Solartron, probably the most well-known manufacturer of analog computers in the UK. 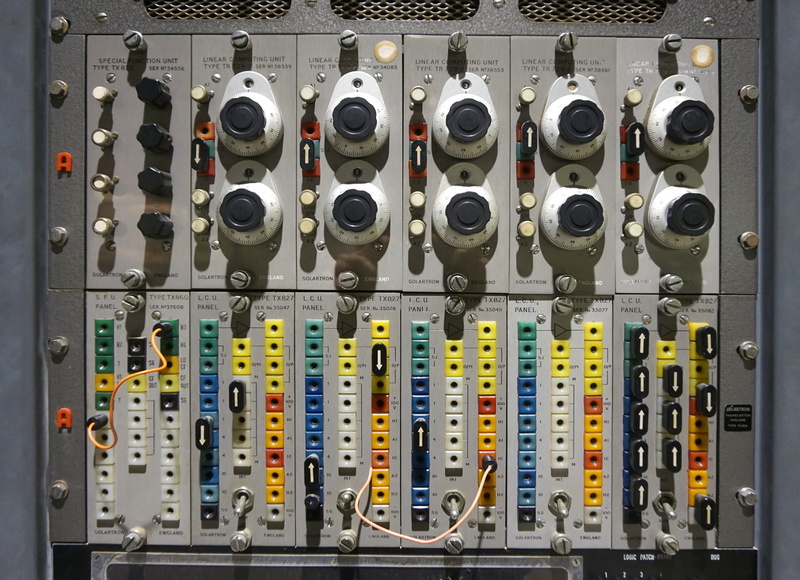 They started selling general purpose electronic analog computers in 1957 and continued to do so well into the 1970′s. 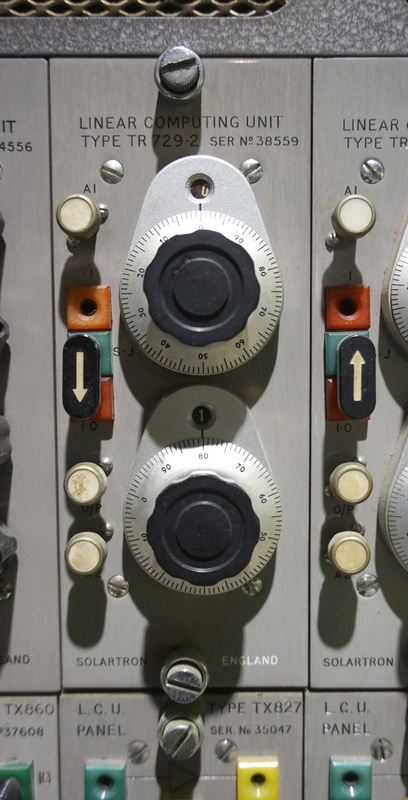 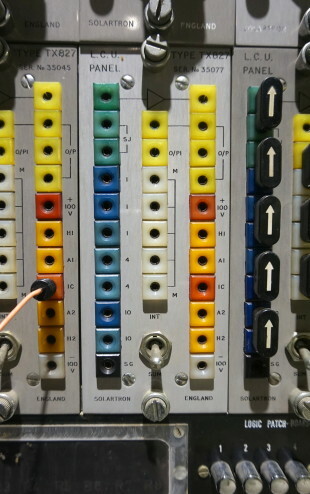 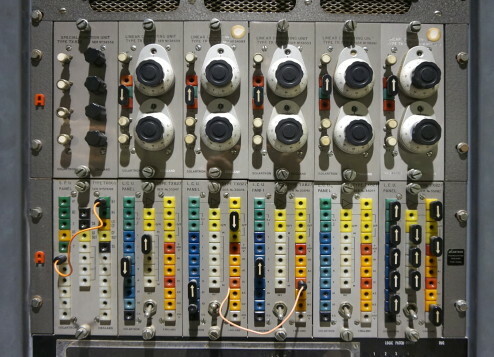 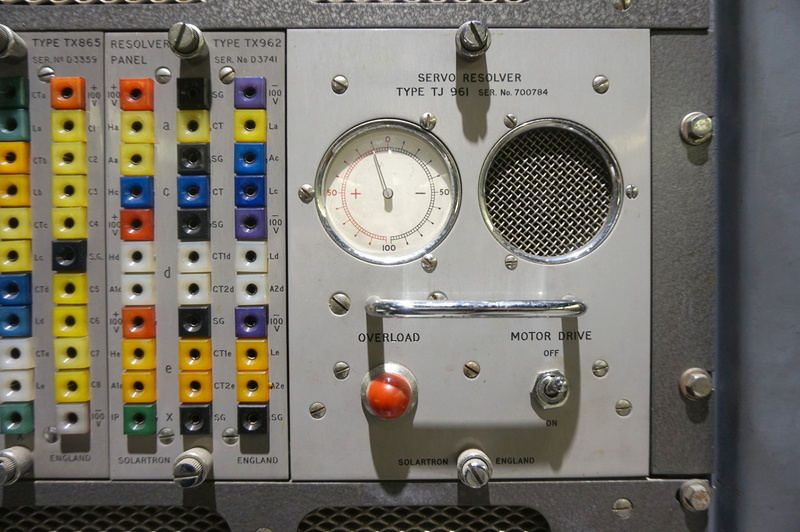 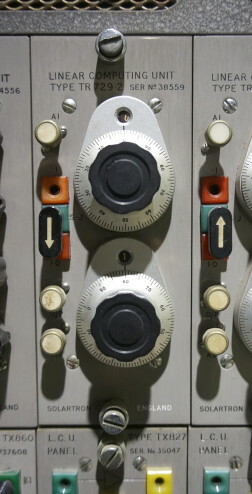 The units in this machine look very similar to those in a Solatron SC-30 computer, introduced in 1958. 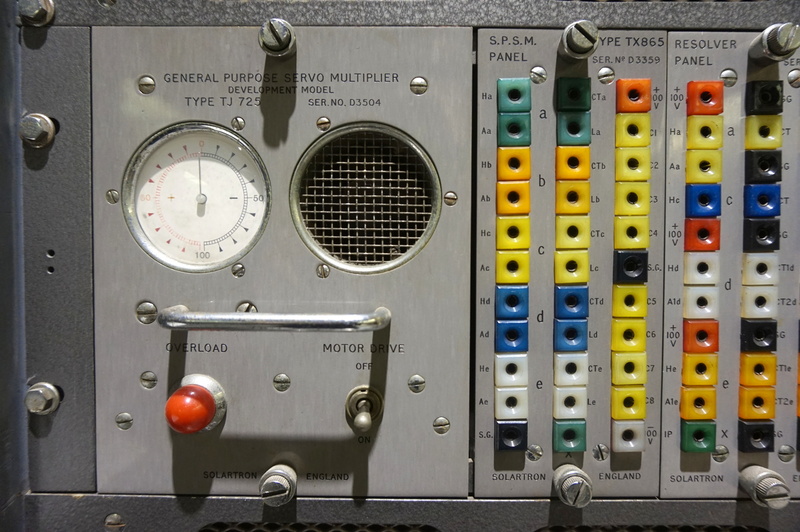 If I am right, this machine has 5 computing amplifiers that can be used as summers or integrators, 10 precision potmeters, a diode function generator, a logic unit, a servo multiplier and a servo resolver. 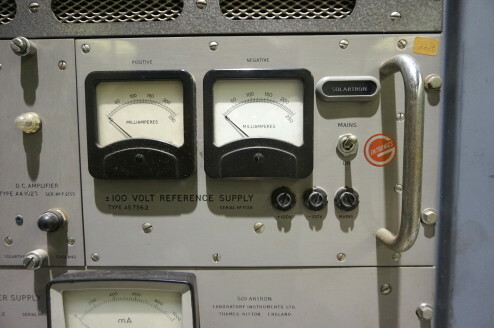 The whole machine seems to be tube-based and works in a -100V to +100V range. 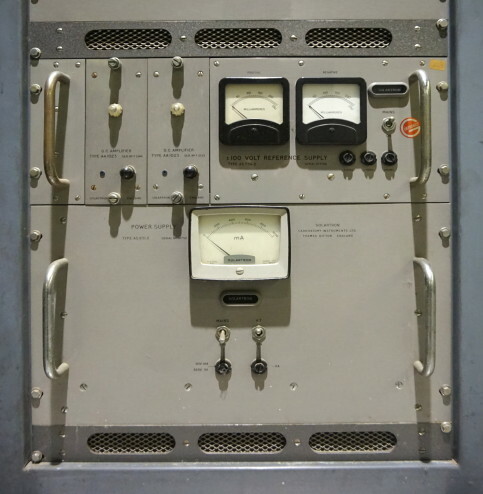 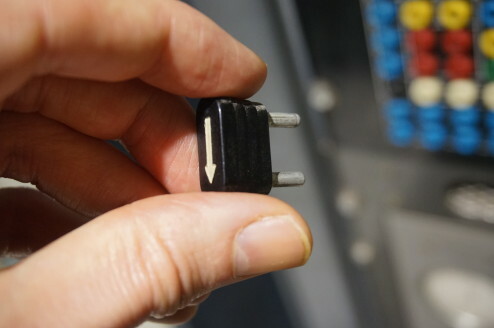 The logic unit looks more recent and not from Solartron, perhaps custom-built. So far, I did not find any information about this machine; if what I write is incorrect or if you know more, please contact me !